21st September 2017 — Sibiu. 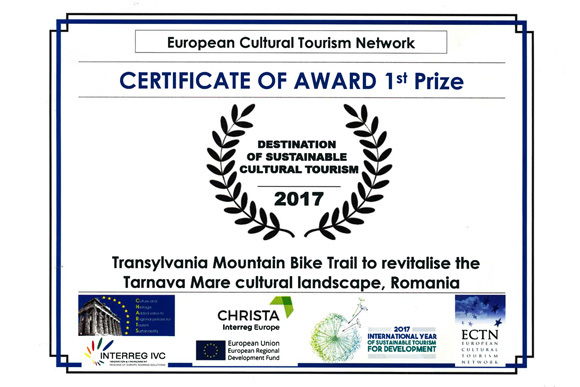 Fundatia ADEPT Transilvania was awarded 1st Prize as Destination of Sustainable Cultural Tourism, at the 2017 ECTN Award Ceremony, during the 10th international conference “Cultural Values, Diversity and Heritage: Pillars of Sustainable Tourism for Development’, held on 20 – 21 September 2017 in Sibiu, Romania, for the project “Transylvania Mountain Bike Trail to revitalize the Târnava Mare cultural landscape”. The Tarnava Mare area of South-eastern Transylvania is one of the forgotten jewels in Romania's crown. It is one of the Europe's most important natural and cultural landscapes, including some of the finest pristine wildflower rich grasslands – the result of centuries of good husbandry by local farming communities, who are still managing the land today in a way that has long protected the countryside and created a unique sense of place. 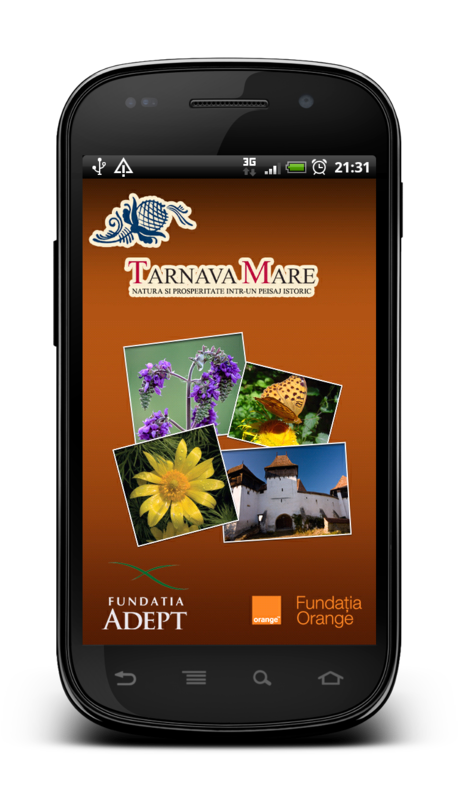 Fundaţia ADEPT Transilvania’s project – "Discover Târnava Mare" is a touristic mini guide through which you can visit and plan, overall, a walk through Târnava Mare - Transylvania.